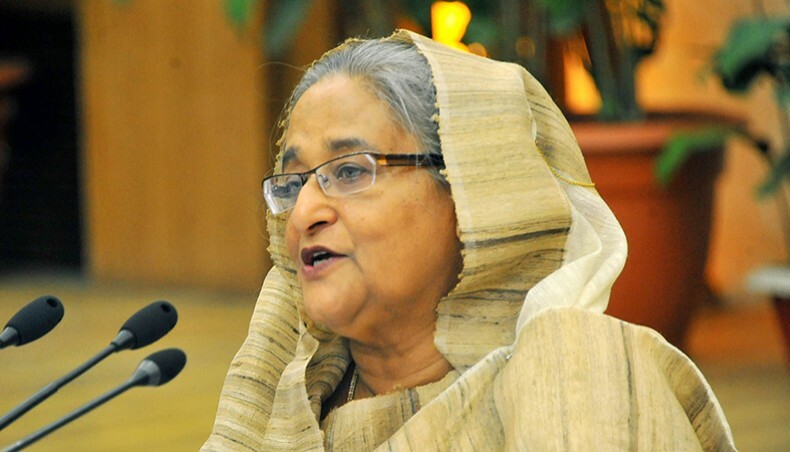 Prime Minister Sheikh Hasina has reportedly asked the government authorities concerned to brief the media over "the purpose and proportion of quota system." She came up with the instruction while holding the regular cabinet meeting on Monday. The PM also directed the Ministry of Public Administration, the main stakeholder of the issue, to examine the demands of the students. Cabinet Secretary Mohammad Shafiul Alam told journalists: "The prime minister has ordered the official concerned to brief the media over the exact purpose of keeping the present quota system." He further said: "The quota provisions seem to be quite logical as this is based on valid grounds. According to the present quota system, 30 percent quota that has been kept for the freedom fighters' children and grandchildren, 10 percent for women, 10 percent for people of districts, five percent quota for indigenous communities and one percent quota for the physically challenged." “The quota system has already been reformed as the government, in a previous circular, said eligible candidates from the merit list will fill up vacant quota posts,” Mohammad Shafiul Alam added. The cabinet meeting noted that the system has hardly deprived the meritorious candidates as merit was never ignored in the existing system. The meeting observed that If the recruitment in the civil service is held on the basis of merit only, many districts would be underrepresented in the administration and uplift of women would be hampered.